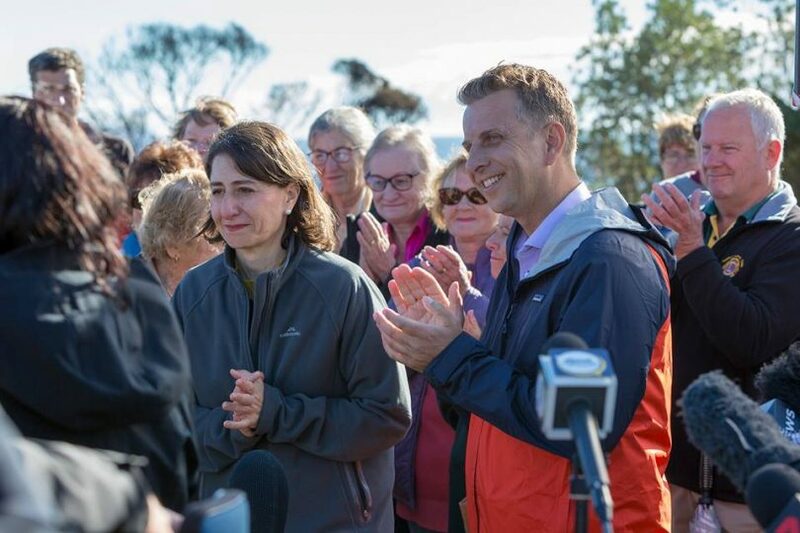 NSW Premier, Gladys Berejiklian and Andrew Constance in Tathra, 2018. Photo: Andrew Constance Facebook. Member for Bega, Andrew Constance has raised the idea of moving the Bega Valley Regional Gallery to the ‘old old’ Bega Hospital site as a way of advancing cultural tourism and his government’s position on funding these two significant funding applications. The suggestion comes in the wake of failed attempts to access the NSW Government’s Regional Cultural Fund. Bega Valley Shire Council is seeking $3.4 million to redevelop the current gallery space on Zingle Place, Bega. Plans that Gallery Director, Iain Dawson, has previously described as a “game changer” for visual arts in South East NSW. The vision is for an expanded exhibition and storage space, contemporary environmental control and lighting, hireable workshop space, and a more welcoming and accessible façade. An accessible façade will allow the community to view artworks 24/7. Photo: Supplied. Meantime, the Old Bega Hospital Trust had requested $2.4 million to begin restoration works on the historic building. 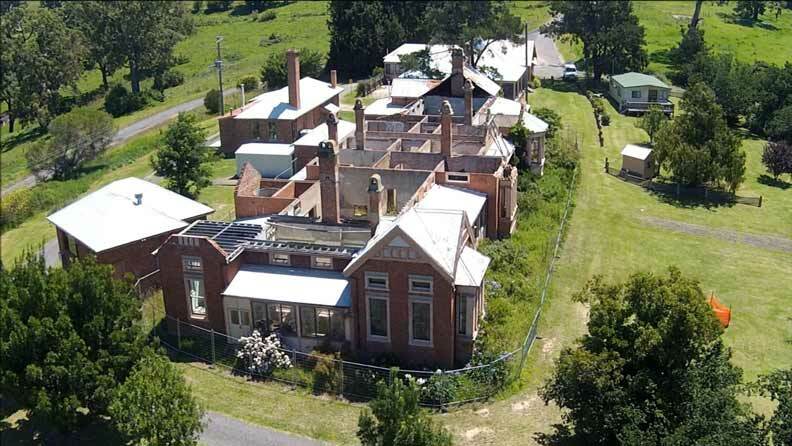 Not to be confused with the more recent ‘old’ Bega Hospital on McKee Drive, the plan for the Old Bega Hospital site south of the Bega CBD, is to reroof the burnt out but still grand brick building and turn the space over to artists workshops, small exhibition spaces, and community meeting rooms. “I think there is an enormous opportunity to marry the intention of the Old Bega Hosptial Trust with the Council’s aspirations around a new regional art gallery,” Mr Constance says. “So rather then there being two funding applications in competition with each other, we marry them together and create a cultural hub. The Old Bega Hospital, south of Bega dates back to the 1880’s but was largely burnt out 15 years ago. Photo: Friends of Old Bega Hospital website. Mr Constance says there will be future funding opportunities for both projects and believes his electorate has done “really well” out of the Regional Cultural Fund. The Member for Bega points to the $16 million investment in Twyford Theatre at Merimbula, and the Batemans Bay Regional Aquatic, Arts and Leisure Centre, as well as much smaller grants to Murrah Hall near Bermagui and Spiral Gallery in Bega. Meantime, Labor’s candidate for Bega, Leanne Atkinson has swung in strongly behind both proposals. “A Daley Labor Government will fund the redevelopment of the Bega Valley Regional Gallery – that’s $3.4 million,” Ms Atkinson says. Ms Atkinson also says if Labor is elected in March the Old Bega Hospital will get a new roof. “Walt Secord, the Shadow Arts Minister and I will provide a one-off grant of $500,000 to rebuild the roof. “Year after year the Friends of the Old Bega Hospital have worked so hard to try and raise the funds to do this, we are going to help make it a reality,” Ms Atkinson says. Talk of combining the two projects prompted a laugh from Ms Atkinson. “Council has already been through a process, I don’t understand why Mr Constance is suggesting this now,” she says. “Arts Minister, Don Harwin is spending almost $760 million on his favourite arts institutions – the Art Gallery of NSW, the Sydney Opera House, Walsh Bay, the Australian Museum and the Hyde Parks Barracks – all within a three-kilometre radius of Sydney’s CBD. But he cannot find $3.4 million for the Bega Valley Regional Gallery. The concept plans for the new Bega Valley Regional Galley were prepared by Melbourne based Sibling Architecture. Photo: Supplied. General Manager of Bega Valley Shire Council, Leanne Barnes says it is unfortunate the Berejiklian Government didn’t fund the Regional Gallery this time around, “but we do acknowledge the considerable cultural funding already provided locally and the number of projects across the State,” she says. 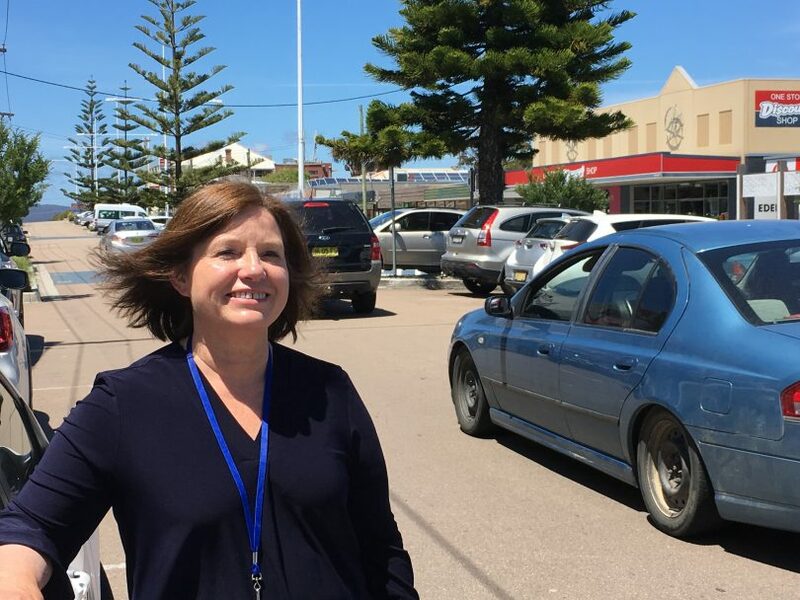 Ms Barnes says Council’s resolved position is that the Regional Gallery remains at its current site in the centre of town and acknowledges that Council and the Old Bega Hospital Trust have already undertaken considerable planning work. “Whether the site could accommodate all these aspects has not been fully scoped,” Ms Barnes says. Nine sites were reviewed by Bega Valley Shire Councilors for the new Regional Gallery including the Old Bega Hospital site, which is 3 km out of town. The Old Hospital finished last in the rankings and while the cultural synergies with the Trust’s vision were acknowledged the site was rejected due to its distance from the CBD, possible conflict with the adjoining industrial precinct, no sewer, and the need to upgrade the intersection with Newtown Road. Andrew Gray, General Manager of South East Arts says the marriage of the two ideas is not a neat fit. “I understand why Mr Constance is suggesting what he is but the Old Bega Hospital is a heritage building and not really suited to being a modern Regional Gallery,” Mr Gray says. “And from a value for money point of view, redeveloping the existing space makes sense. Labor candidate for Bega, Leanne Atkinson in Eden. Photo: Ian Campbell. An insistent Mr Constance says both projects have a future under a re-elected Liberal NSW Government but maintains merging the two needs to be considered. I like the idea of marrying the two projects as it will be less costly in the long run, in my opinion. The old Bega hospital site will have more room around it for outdoor activities, picnics, outdoor movies and the like and also, parking will not be a problem. The parking in the CBD is already at a premium and I have on more than one occasion been forced to park a distance from where I need to be. I often also have my elderly parents with me as they have medical appointments in Bega and the parking is a problem. By marrying the two projects, accessibility to the Arts will be better, there will be room for workshops and I can see it becoming a real hub for an Arts Centre and Gallery.